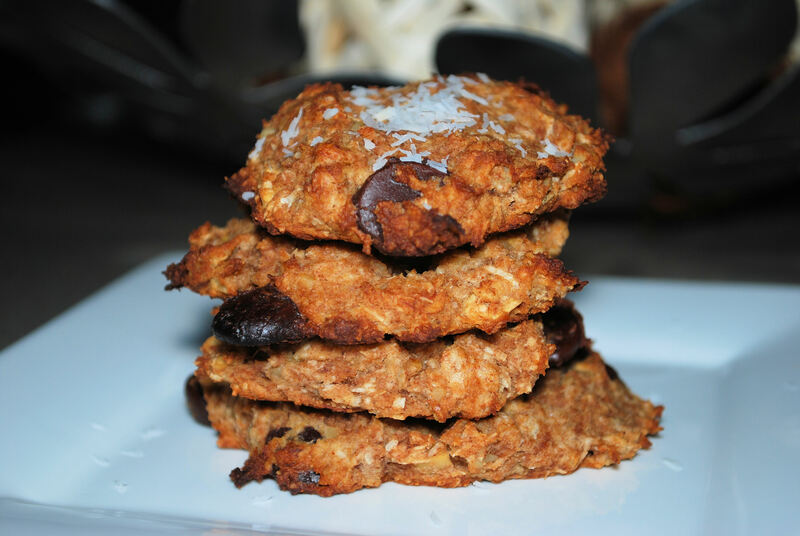 I recently made these ‘Nutty Cookies’ from my cookbook Everyday Paleo by Sarah Fragoso and they were delish! The crazy thing was I actually gave one to Emma, which I don’t normally do because I feel she’s too young, and of course she wanted more. Allow me to go on a tangent here. I make it a point to practice what I preach-at least in the eating department. 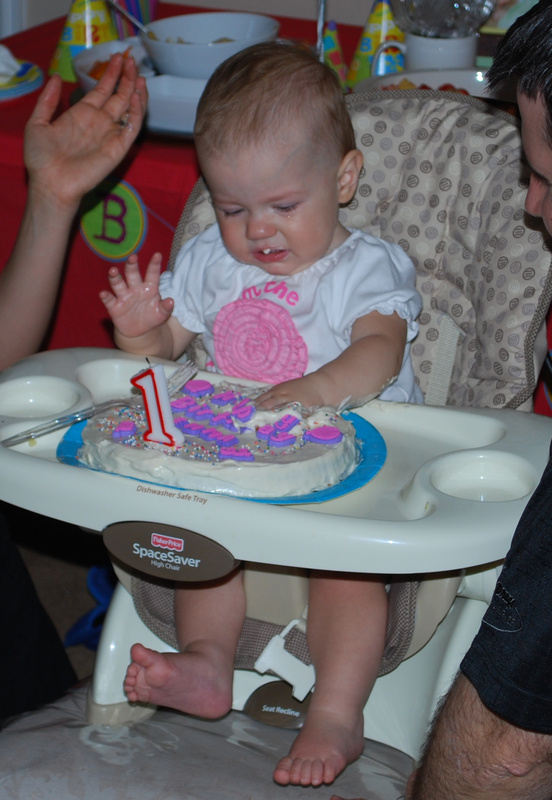 My hubby thought I was nuts (haha) when I was unsure about giving/making Emma a cake for her 1st birthday. Sorry, it’s just that she seems too little to corrupt with the deliciousness of sugar and chocolate and heaven forbid become addicted to it. I see too many kiddos running around with juice boxes and candy in their hands and they don’t even have all their teeth yet! But in the end, I made her Art Smith’s Hummingbird Cake with all kinds of good stuff in it like pineapples and bananas, which made me happy. The irony is that she didn’t want anything to do with it-touch nor taste! Go figure. This was just the beginning of the meltdown with her wondering what in the world that creamy stuff is. 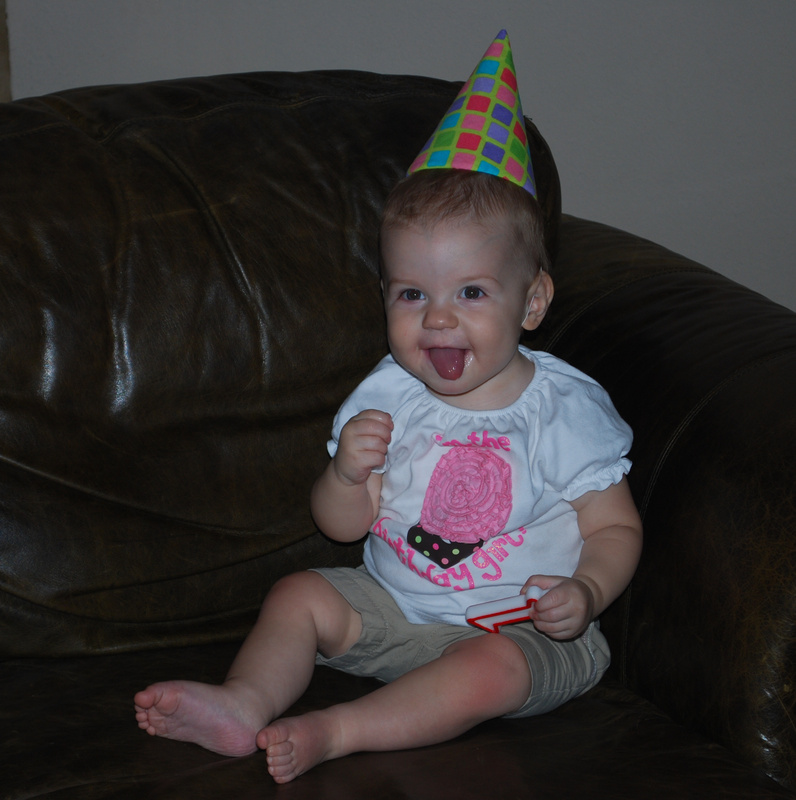 Luckily we made it through her celebration despite her being tired and not feeling well that day…Em was such a trooper! I was happy to at least snap this photo of her posing a few days later with the birthday hat I made her. Love that girl! Now back to the cookie goodness. I whipped these up while we were munching on a lunch of Chicken Paleo Piccata and Brussels sprouts. (If you have not been introduced to the world of Brussels sprouts cooked in bacon grease or grass-fed butter-you are missing out!) Luckily, I had everything in my pantry so once the ingredients were all assembled the mixing began. 2. In a medium-sized mixing bowl, use a fork to smash the bananas. 3. Add the coconut flour, almond butter, and baking soda, and mix well. Using a handheld chopper or food processor, chop the walnuts and apples to a very fine dice. 4. Add the walnuts, apples, coconut milk, and cinnamon to the bowl and mix well. 5. Cover two cookie sheets with parchment paper (I used my non-stick baking mats) and spoon heaping tablespoons of the cookie mix onto the parchment paper, placing an inch or two apart. Bake for 25 minutes. Makes approximately 20-22 cookies. 2. Take out 1 banana and add ½ cup of canned organic unsweetened pumpkin. Needless to say they were yummy and would suggest doing the whole batch with chocolate chips. I did half with and half without the chips and definitely prefer them in the mix. Oh man, typing this recipe is making me hungry for more! Off I go to whip up another batch of sweet goodness. Let me know how yours turn out. Just recently, I’ve decided that I would like to start using grass-fed butter, since it has so much more nutritional value. What kind do you use, and where do you buy it? I use Kerrygold and recently found a big tub of it at Costco. But I’m sure you could find it at Whole Foods, Sprouts, or Central Market. Thanks for the tip, Jessica. I found some at Central Market, just like you said! So glad you found it! You’re welcome 🙂 I have put up a page with some of the products I use and will be updating it constantly. They look delish! 🙂 I’m a fan of anything with coconut flour! really looks like yummy cookies! i must make them! love the blog sis! good job mama!! This is Bea and Raf stopping in to say we love your blog – not to mention the pix!! Good job with the paleo diet. We simply love it as well as raw foods diet. Life is so much easier and fun with these two, isn’t it? It’s all about quality of life, less time spent in the kitchen and everybody gets to enjoy it without getting sick. Thanks! I am loving the new paleo lifestyle as well and have you two to thank for getting the ball rolling in my mind. At first I thought you were crazy, but now I know I was crazy for not going grain-free!! It’s such a great feeling 😀 Glad your rolls are paleo-friendly…must get more when we come this weekend to see my sis! I thought you were dairy free, is the grass fed butter ok then? I am but it doesn’t seem to bother me. Turns out I have a whey issue so butter should be fine. « Come On Ya’ll, Let’s Take A Ride!